Receive specials from Jonathan, including prophecy updates, news behind the news, what to be aware of and watch out for as an end time believer, Special teachings & words to strengthen and encourage you in your walk, updates on the Great Commission, the newest messages, and more! It’s like Vitamins for your spirit with Teachings, meditations, insights With the deep riches of the Jewish roots of Jesus to give you strength and victory for every day of your life - Jonathan’s teaching for each day of your week. Sent daily to your home, to start your day with power! 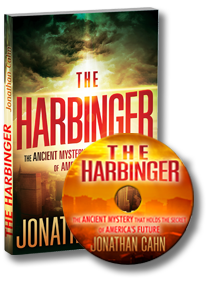 Jonathan's teachings are widely known for revealing the deep mysteries of God's word and for the restoring of the new covenant message to its original biblically Jewish richness and power.